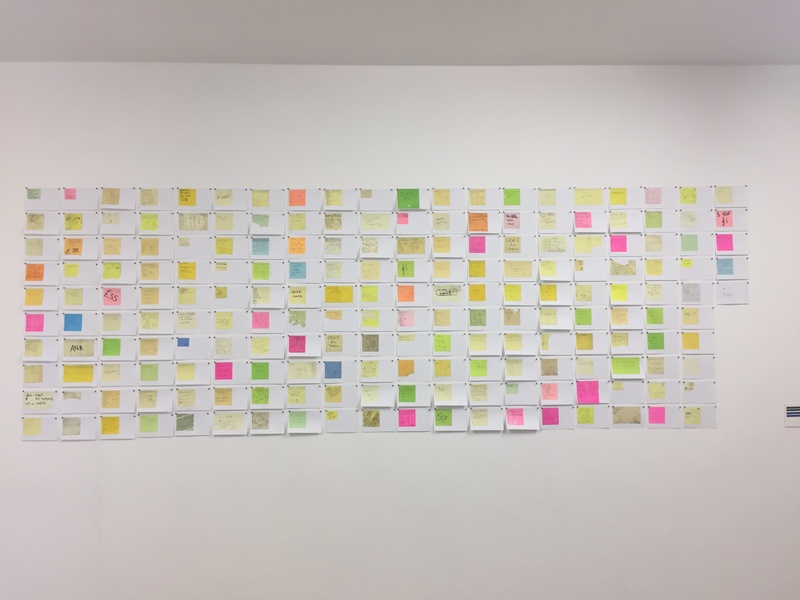 I began collecting post-it notes I found in the street in 2011. 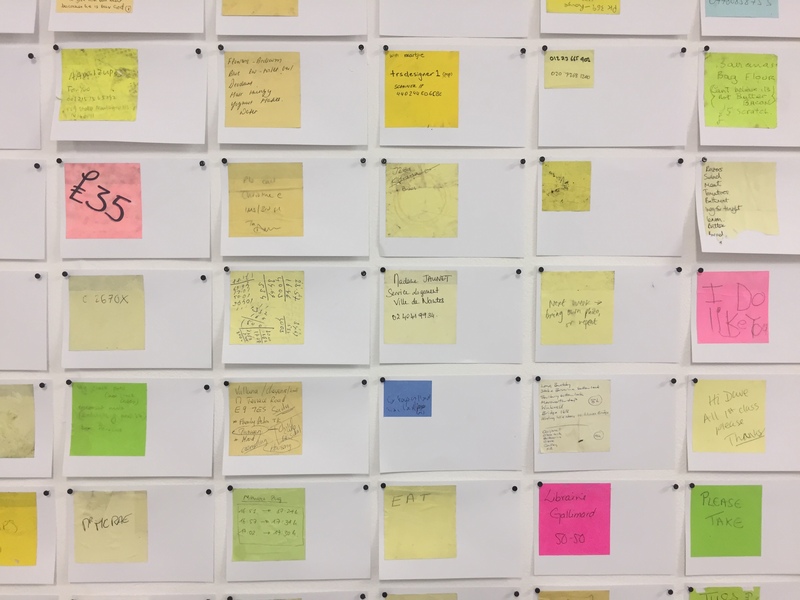 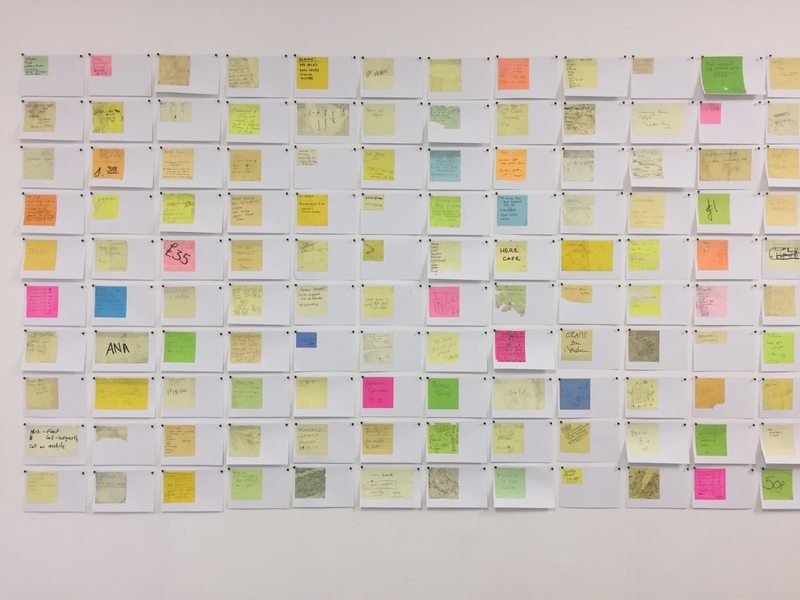 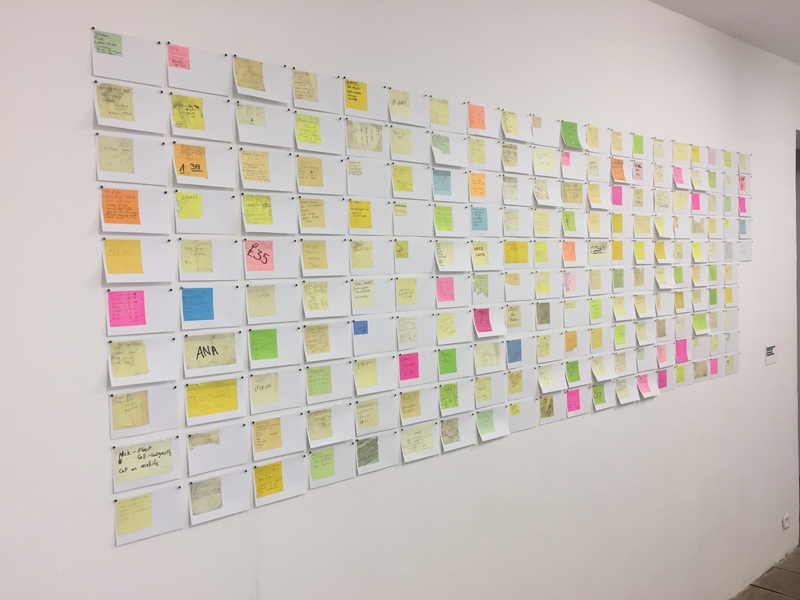 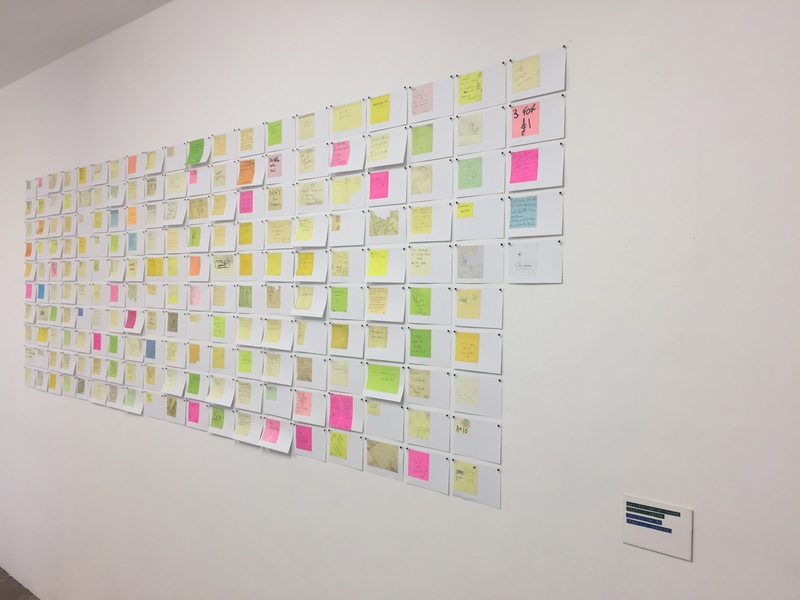 Each post-it note is attached to an A6 index card. 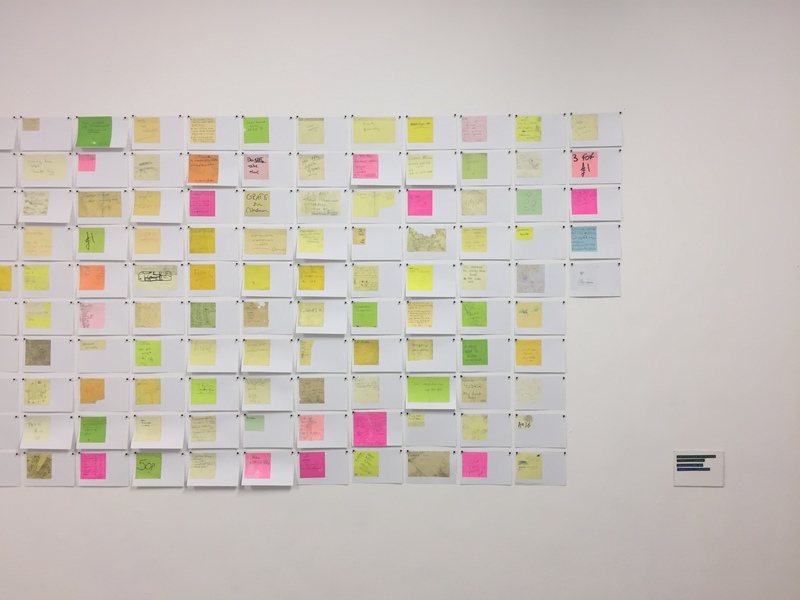 The only criteria I have for the collection is that the note must have something written or drawn on it; and that they must be genuinely found, discarded notes – not fabricated for the collection.